With telemedicine getting immense popularity lately, it is safe to say that it is indeed a godsend phenomenon. Within quite a short span of time, telemedicine has brought about solutions to the prevalent healthcare crises. In fact, telemedicine has by far been the best implementation of the phrase “contribution for a better world or society”, for it has started a wave of a healthier society. Since telemedicine has created a great deal of hype for all the right reasons. Let’s take a look at how it has created a stronger connection between patients and healthcare professionals. To begin with, telemedicine has enabled one to have convenience at a whole new level. Healthcare services can be accessed from anywhere and anytime. It has in its truest sense minimized the hassle which comes as a parcel with traveling. To put it simply, times when a fast aid is needed, commuting to avail the medical assistance only adds up to the already soaring stress levels. This is where telemedicine has solved it! It has become the ultimate ladder towards a healthier mind and body. In addition to this, it has also greatly reduced the risk of a straightforward complaint, such as a cold or sprain turning into a rather complicated one. Similarly, in case of a complicated complaint like diabetes in times of emergency could be dealt with through telemedicine for the time-being while the help arrives; thereby saving the situation from getting worse. Living in a digital age where such a development would help the youth considering their busy-bee schedules, it was the older generation which benefited the most. And it is perfectly understandable as they face the greatest mobility challenge. The factor of timeliness has what helped the system become quite a success amongst senior patients. For example, a person can deal with the chronic diseases such as asthma and diabetes in a more efficient manner through a system like telemedicine. It is a disease which demands constant checking and monitoring. The patient’s readings are accessible anytime, thereby enabling a timely prescription. Speaking of convenience, telemedicine has increased patient engagement. Also, it has become a massive encouragement tool towards practicing a healthy lifestyle. Through this, the patients feel at home in a sense that they are sure of their doctor’s availability with full involvement on their part in their care and well-being. The ease of scheduling appointments and follow-ups has been a major motivation towards incorporating telemedicine as a means of health care system. Moreover, it has proved to be a lifesaver if we talk about the patients hailing from rural or remote areas where having medical assistance is a matter of great concern. Thanks to this technology, each patient has access to the best medical assistance. It is because of telemedicine that they do not have to endure long commutes to avail the medical services. This also saves up those energy levels and what little health is left, which might get compromised due to or amidst traveling. Furthermore, the costs of traveling involved besides the medical expenses automatically get reduced. The developments of smartphone apps coupled with the online management system and video conferencing have indeed been a positive influence in this regard. Without them, telemedicine would never have come to life. According to studies, the emergence and development of these systems have reduced the level of depression, anxiety, and stress. This is because the idea of being treated within the wall of one’s home within close proximity of the family members has been a positive influence on patients’ health. Not only this, with telemedicine shortening the gap between the doctors and patients, has contributed towards a more patient-centered approach making the quality of patient care par excellence. Most importantly, the privacy of an individual doesn’t get jeopardized at all. It is at the same level as one would get when they see their doctors in person in their clinic. The telemedicine systems are under the governess of HIPAA guidelines which leaves absolutely no room for any doubt. It protects one’s privacy as well as health and wealth. Hence, the popularity is only soaring. Telemedicine is a concept which is relatively new and gradually laddering up. 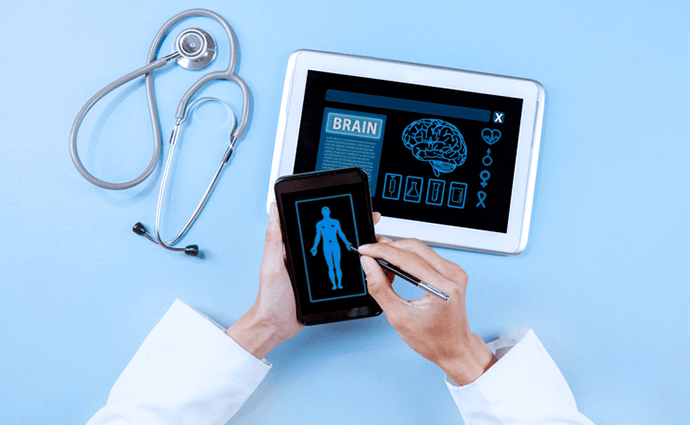 Considering the above factors it can be said that HIPAA compliant telemedicine platforms can revolutionize the health industry if correct measures are taken. Enough funds should be allocated to the technology for research. This can add up to the enhancement of the way doctors render their services and make the bridge an invincible one. James Crook is a passionate blogger who loves to write on health and fitness related topics. Currently, he is a working as a blogger for a Physical Health Centra Care. Follow @jamescrook911 for more updates.